Understated elegance in the Park Vista, Portland's only Co-op with well appointed lobby with fabulous concierge service. 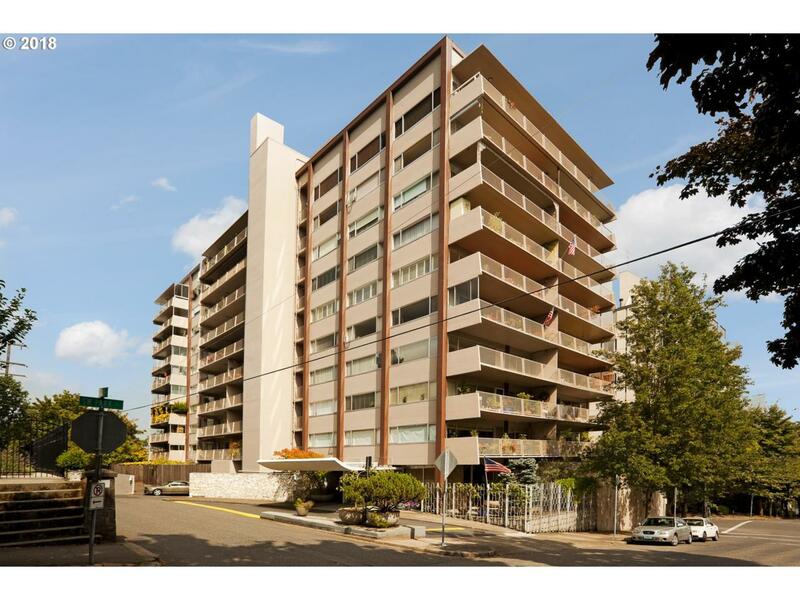 This light-filled SE corner unit offers Mt Hood, city & historic neighborhood views, parquet wood floors, walls of windows, and a spacious 32 x 7 covered deck. Located in Historic Kings Hill near Washington Park, NW 23rd & Uptown shopping. 1 garage parking space. Taxes INCLUDED in monthly HOA's. Condo Deck Dimensions 33' X7' Approx.